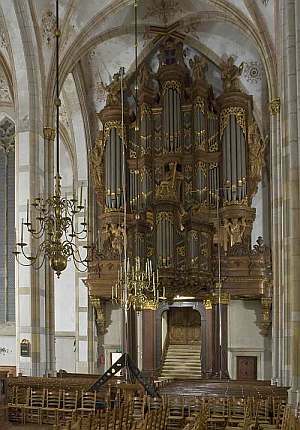 The history and the fate of the Zwolle St. Michaelskerk organ is quite typical of almost all important European instruments: Built by the prestigious baroque organbuilding family Schnitger, subject to alterations mirroring the changeable fashion of different periods and finally restored back to its supposed baroque form. 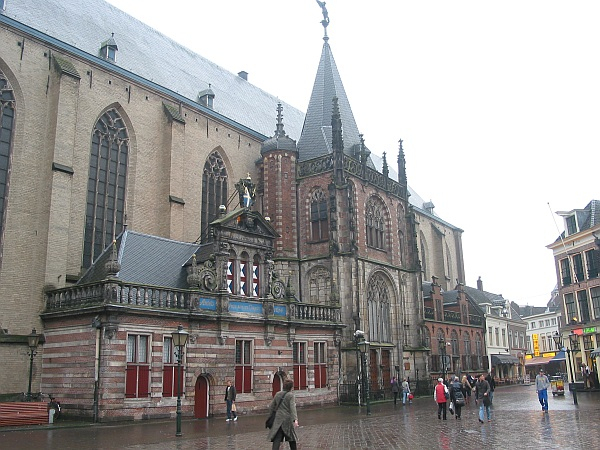 In the beginning, the Grote church of Zwolle, also called St. Michaels church, had three organs: two small instruments and a larger one. The first note about the main organ, dates from 1505. 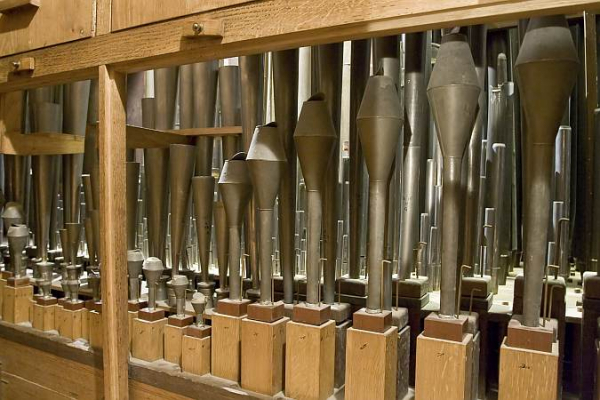 At that time, Johannes Jacobsz van Bilsteyn from Rhenen built a large organ with 3 manuals and pedal: the Hoofdwerk (Great) was constructed as Blokwerk, with all 32 up to 34 voices sounding at the same time, the Bovenwerk (Echo) with 4 or 5 voices and the Rugpositief (Positiv) with 4 voices. 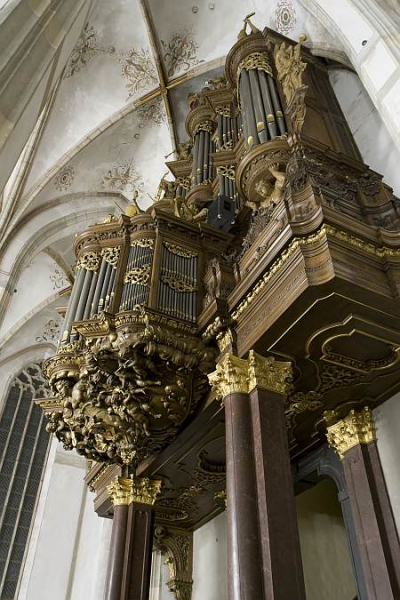 In 1643, Jan Morlet III from Arnhem modernized this organ and made the basic voices of the Blokwerk playable on the Pedals. 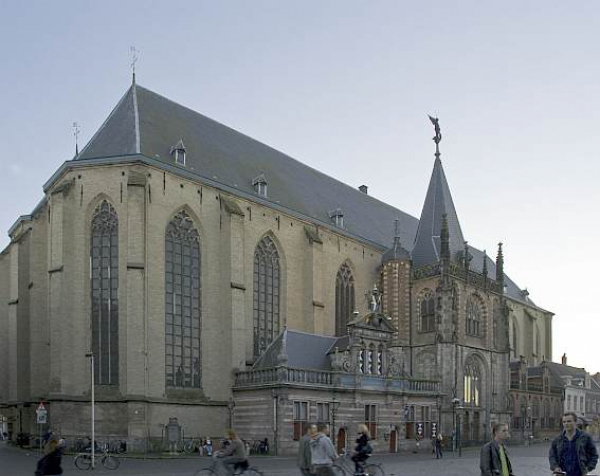 In 1669, the tower of St. Michaels (which at 128 meters was the tallest in the Netherlands) burnt down after being struck by lightning, also partly destroying the main organ. 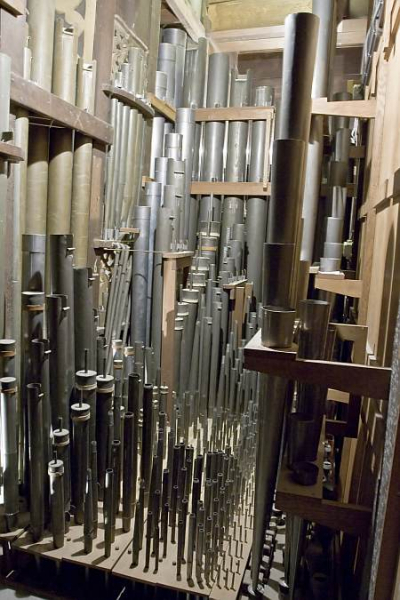 Because lack of finances for costly repair, the organ was disassembled and stored. For more than 30 years, the congregation worshipped without an organ, until in 1718 Bernard Hüte, physician and town mayor of Zwolle donated 12.000 guilders for the construction of a new organ. His brother Thomas added another 2.000 guilders. The restoration work is still in progress and this is where the documentary function of the Sonus Paradisi project takes its place. 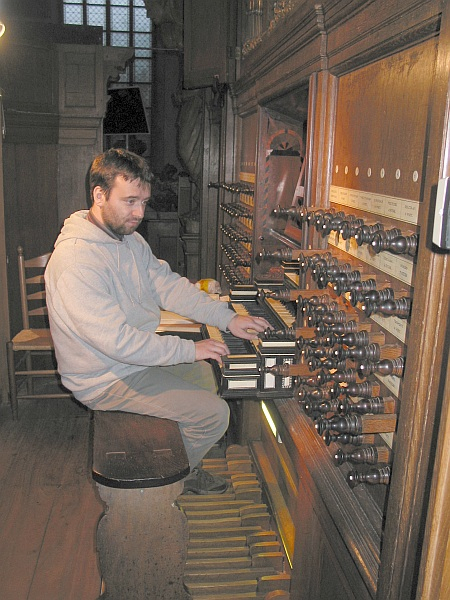 In October 2007, we were invited to do the acoustic documentation of the present state of the organ so that its sound could be archived for future and the comparison with the state after the proposed reconstruction is possible. As the idea of linear progress of knowledge evaded with the end of modernity, we are now more aware of the fact that our present state of knowledge and the ideal of the organ sound may not be of a higher value than that of our predecessors. 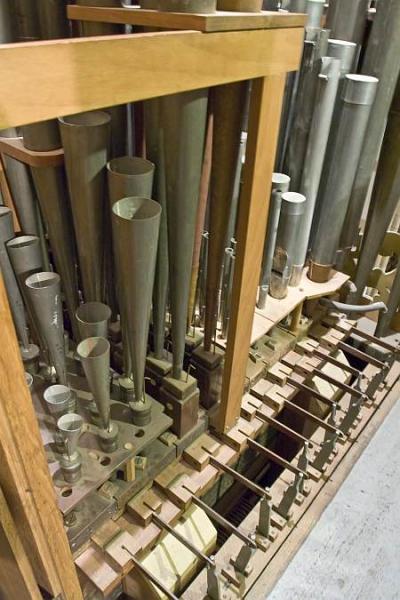 In fact, every generation tried to maintain the organ in good shape, but the ideas about the "correct shape" of the organ sound changed much throughout the centuries. Speaking from the perspective of the late 20th century scholars trained in the schools heavily marked by the omnipresent historism, we would now like to see every piece of art in its original form as it came out of the hands of its ancient author. Therefore, we usually tend to see the alterations made to the organ during the course of the centuries as detrimental. 19th century seems especially "destructive" as almost all valuable baroque organs were drastically rebuilt in the "romantic" or "symphonic" style of that era. Our present restorations, therefore, tend to remove all such alterations and reconstruct the original shape of the instrument. However, we must not absolutize our present day ideal. First of all, after Karl Popper, we should not have difficulty to admit that our cognition is always limited and therefore also our restorations will be most probably criticized by our successors as not authentic enough. 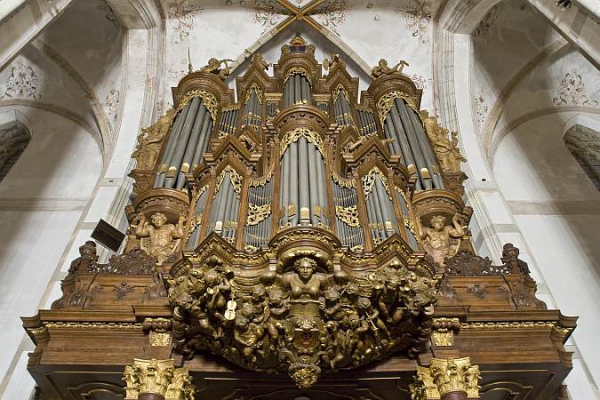 Second, we must not take for granted that our ideal of pure baroque organ sound matches that of baroque organbuilders. We must abandon the silent presupposition that we "know" how the organ sounded when it was built almost 300 years ago. Furthermore, with H.-G. Gadamer, we should not be ashamed to acknowledge the constitutive role of the "traditition", i.e. of the continuous maintenance of the instrument and the struggle for its preservation by our predecessors, who handed the instrument over to us. 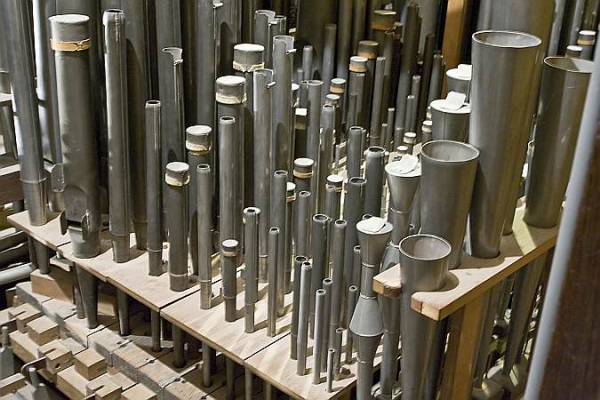 Every organbuilder who put his hands on the organ, contributed to its sound as it appears today and this characteristics cannot be removed to get the "pure" original sound. We ourselves with our restorations become part of this story, contributing new and new (rather than "original") interpretations of the Schnitgerian organ sound. Even after an excellent restoration, we must be very cautious not to interchange the "Schnitger" sound with our idea of the Schnitger sound. When listening to restored instrument, we can never be quite sure, whether we hear Schnitger or its re-builders. In fact, my view is that we hear both. 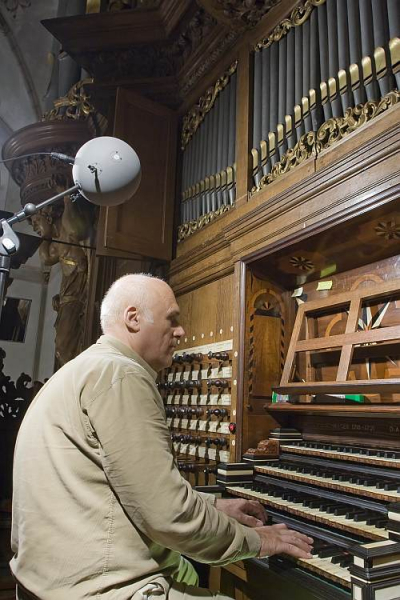 As new restorations (interpretations) of the given organ are coming, the goal of Sonus Paradisi is to "stop the time" and to take a "snapshot" of the today's sound of the instrument and to preserve it for future. G. Fock, Arp Schnitger und seine Schule. Baerenreiter-Verlag, Kassel 1974. Erdtsieck - Logtenberg - de Ruiter, Koninklijke instrumenten rond de Peperbus. 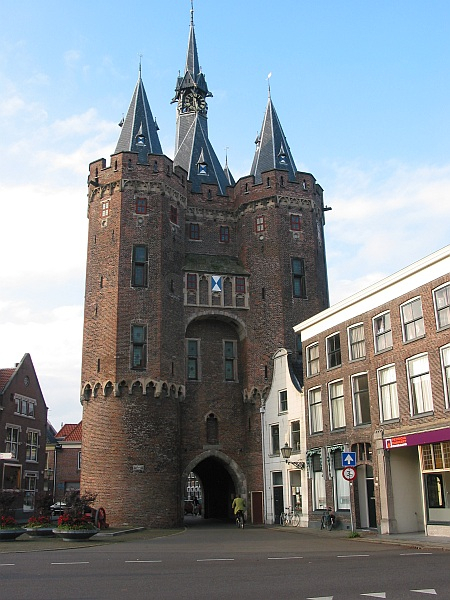 Ijsselacademie, Kampen 2001. The sample set is available in wave format 48kHz/24bit. The version currently distributed is 2.5. Hauptwerk v4.0 and higher supported for the Organ Definition Files. The sample set is encrypted, which means that it can be used with Hauptwerk Basic or Hauptwerk Advanced versions exclusively. Hauptwerk Advanced version is strongly recommended, the Basic version is not suitable to run the Surround variant of the sample set (memory limitations, audio channels limitations). There is no use of the sample set possible in any other software. 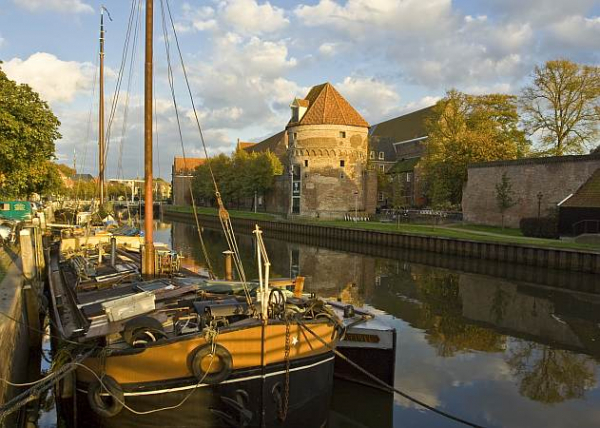 There are three very different sample sets derived from the audio material recorded in Zwolle. 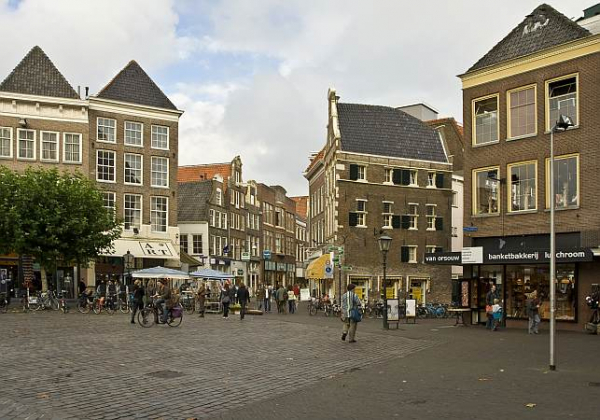 Zwolle Dry - no reverberation included. Dual-mono, close-up-recorded samples were used. You will have to add your own reverb to get the "wet" organ sound. In this way you can move the instrument virtually into any desired environment (small church, large cathedral, concert hall...). Remember to adjust voicing to achieve well balanced organ sound matching different environments. 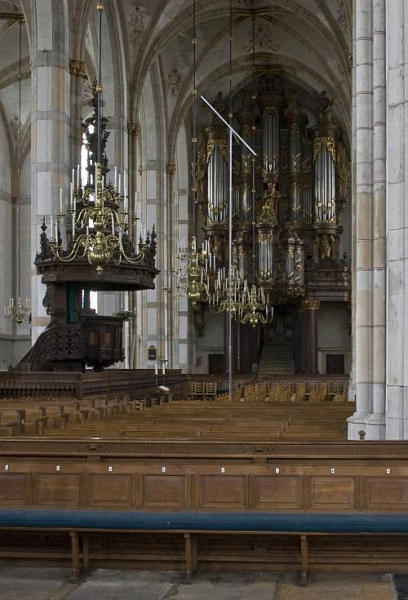 Zwolle Surround - original acoustics of the church captured including the rear audio channels. There are three release samples for each pipe (staccato, portato, long); 4 release samples are offered where necessary.While the traditional wet sample sets are composed of samples with 2 channels (left, right), the surround recording uses 4 independent channels for each virtual pipe (for each sample). Imagine standing in the church heading the organ. You hear the organ in front of you, but you also hear the reverberation of the church which is all around you, comming to your ears from all the directions. This is how the surround sample set is formed. The sound of the organ is captured by the "front" microphones, the church response by the "rear" microphones. 4 channels are extracted from the recording. Two channels are used to supply the sound of the organ for the front speakers, while the 2 other channels offer the diffused (reflected) sound comming to you from the church. You can use these two channels to feed your surround (rear) speakers. In this way, the realism of the reproduction is greately increased, since you may feel as being "inside" the sound field, experiencing not only left-right dimension of the sound, but also the front-back dimension. You hear the sound of the organ, but also the sound which returns to you from the church nave, all in perfect synchronization and localization. Please note, that at least 4 speakers are needed to reproduce the multi-channel audio. 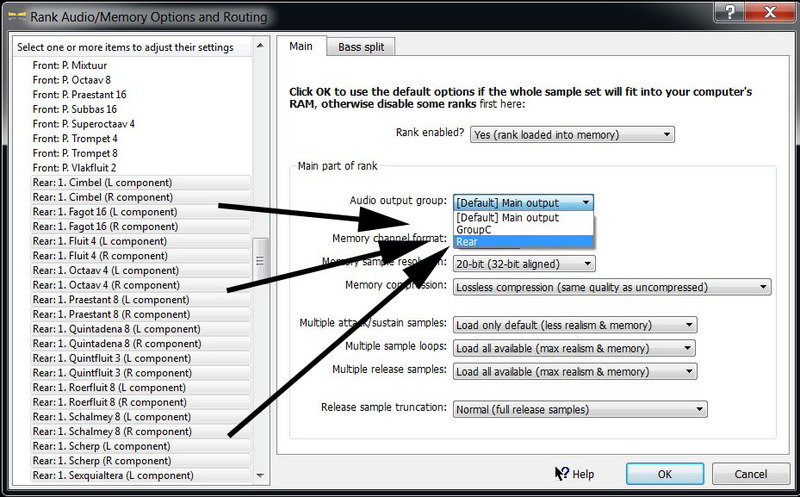 Remember to set up the Hauptwerk audio outputs well to accomodate the four channels. The ranks which are designed for the rear channels are marked with the word "rear". Zwolle Wet - original reverberation icluded. O.R.T.F. stereo recording technique was used to capture the sound of the instrument. 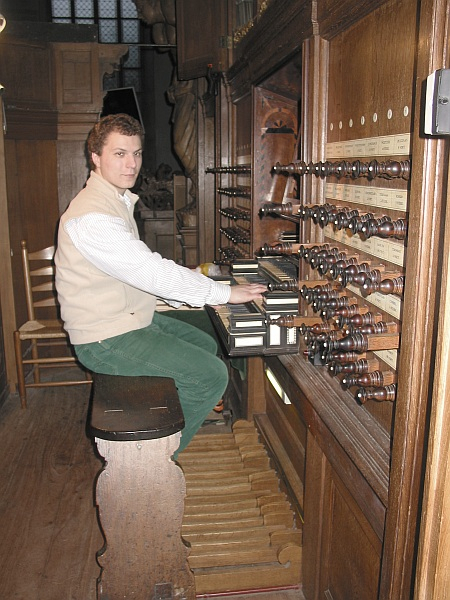 The microphone pair was placed about 10 meters in front of the organ. Multiple releases supported for each sample. The reverberation time is about 5 seconds. 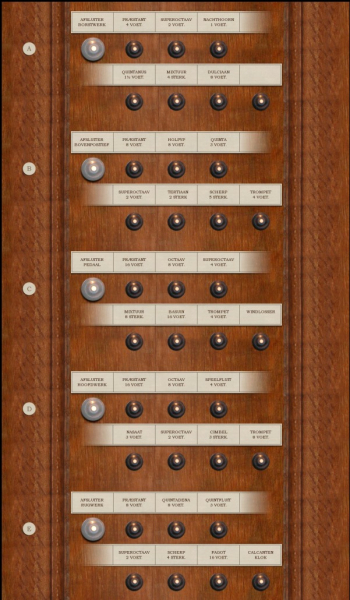 The wet version of the Zwolle Organ Model is a part of the Surround version, only that the rear portion of the audio is muted in the rank routing dialog box before loading the virtual organ. All the ranks marked with the word "rear" should be routed to a rear audio channels of the Hauptwerk setup. Hauptwerk advanced is necessary for the multiple channel audio output. In the version 2.5, All the ranks of the Zwolle Surround sample set are equipped with the dual channel tremulant model, which greatly enhances the Hauptwerk artificial tremulant behavior. Especially, if the surround sample set is used combined into a single stereo audio output, the tremulant sounds indeed convincing. Screen resolution of 1200x1024 px at least. For the dual stop jambs, two touch screens are recommended (left and right one). To obtain these RAM consumption values, please load the L/R split rank components in mono. Please refer to the blog post for help. polyphony of 6000 voices recommended for the Zwolle Surround sample set, half the amount for the wet-only portion of the set. No special requirements on polyphony for the Zwolle Dry. The original compass of the manuals is 4 full octaves (49 keys), the compass of the pedal is 27 keys (up to d). 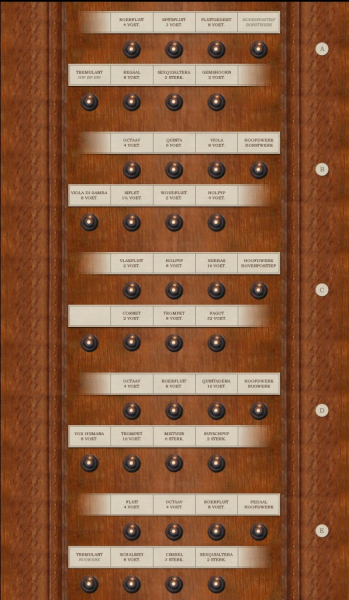 The virtual organ extends this in Hauptwerk: the compass of the manuals extends to 54 keys (up to f) and the pedal compass is extended to 30 tones (up to f). This extension works also with the Original Organ Tuning from the version 2.5. The Zwolle instrument is now tuned to Equal temperament. 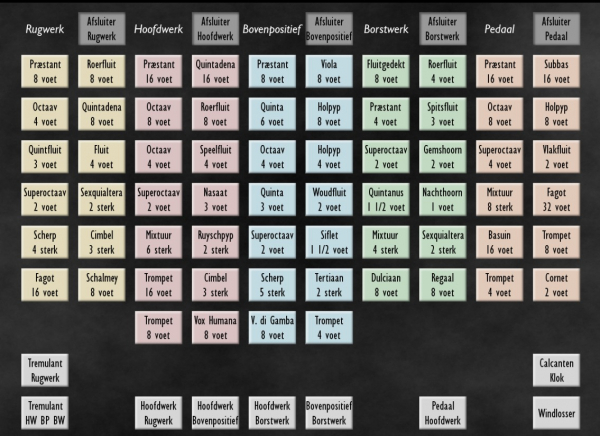 You may use any other temperament chart in Hauptwerk Pitch menu to get any desired historical temperament. I recommend Meantone temperament which is particularly suitable for the baroque nature of the instrument. 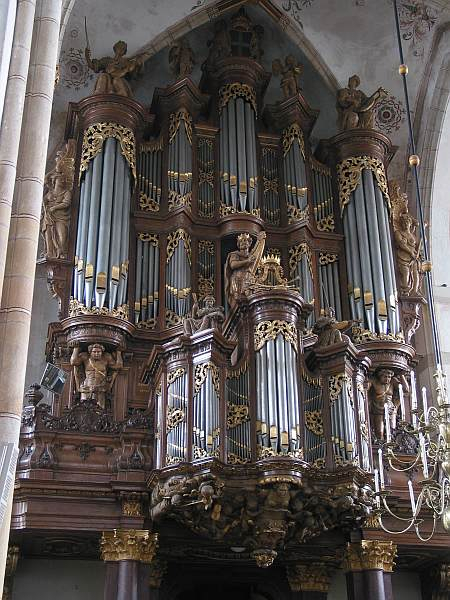 One such Meantone temperament is delivered with the sample set, called Zwolle Schnitger Meantone after St. Jacobi. This temperament is installed with the sample set and (after the installation) it can be found among other temperaments in Hauptwerk menu. IV - III - originally "schuifkoppel" by pulling the manuals, in the virtual version, this coupler sits on the drawstop called "Koppelingen" which has no function on the real instrument. reversie coupler of the Pedal to the Hoofdwerk. Added only virtually, the coupler is not present on the real instrument. Attention! Do not use this reverse coupler in conjunction with the normal HW->Ped coupler! If the stops uses remaining parts from Schnitgers + additions from Flentrop, it is marked */S, usually it is in reed stops, where the resonators are new, while the shallots, nuts and sockets are from Schnitgers. Stop made by Flentrop using older van Oeckelen parts is marked by */**. The version 2.5 is now in distribution. There is a couple of significant audio improvements over the earlier versions. First of all, the audio "depth" and "width" was manipulated so as to give better spacial and harmonic content. 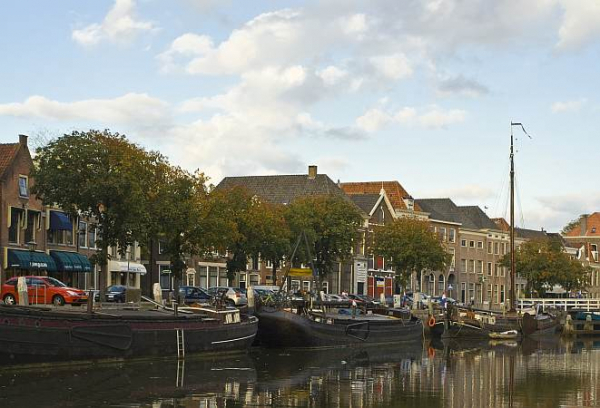 It was sometimes criticised that the old Zwolle sounded "slim" and "thin". This was due to the recording technique. Now the instrument definitely sounds "bigger" and "fuller" as the real organ does - it is a large instrument with a baroque design. Another important update is the tremulant model. Samples were newly processed using my recent dual channel tremulant technique to allow for convincing artificial tremulant behavior. - The Extensions of the keyboards and the pedal work now also in the Original Organ Tuning. - Portrait screen orientation supported for the Left and the Right stop jambs. - Additional minor voicing improvements here and there. - the internal wiring and the logic of the sample set components changed considerably and new ODF IDs were assigned. Therefore, the combinations saved with the old version are invalid and do not work. All the combinations must be made again from scratch with the new version. - the MIDI files recorded with the older version of the sample set should work only to move the keys, but they do not affect the stops. - the sample set is released encrypted, so it can be used with Hauptwerk software only, Hauptwerk Advanced is recommended. The sample set cannot be used in any other software. Also, it requires the Hauptwerk dongle update by Milan Digital Audio. After your order is processed on Sonus Paradisi eshop, I will contact Milan Digital Audio to instruct them to manipulate your dongle so that you will be able to use the sample set. Your collaboration with Milan Digital Audio is required to make your dongle update successfull. BW sesquialtera, note 40, possible loop problem.